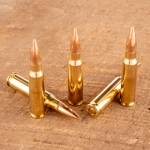 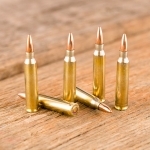 Many AR-15 shooters use Tula ammunition to cut down their shooting costs or squeeze more trigger time out of every dollar. 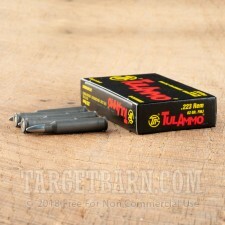 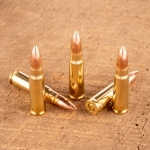 While not reloadable, these .223 Remington cartridges offer good reliability and accuracy at a very reasonable price. 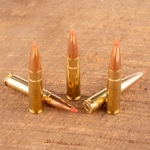 Each round in this box of 20 fires a 62 grain full metal jacket bullet at a muzzle velocity of 3,025 feet per second, with some variation depending on barrel length. These specifications are comparable to military M855 ball, though this is not mil-spec ammo. 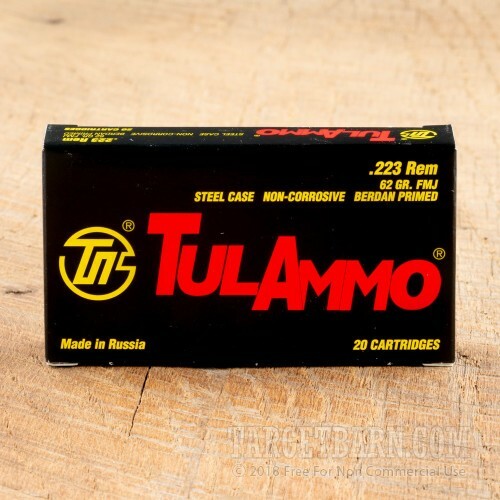 Tula ammo is made at the Tula Cartridge Works in the Russian city of the same name. 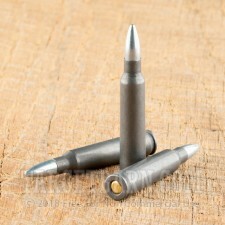 It uses non-corrosive Berdan primers and steel cases with friction-reducing polymer coatings.